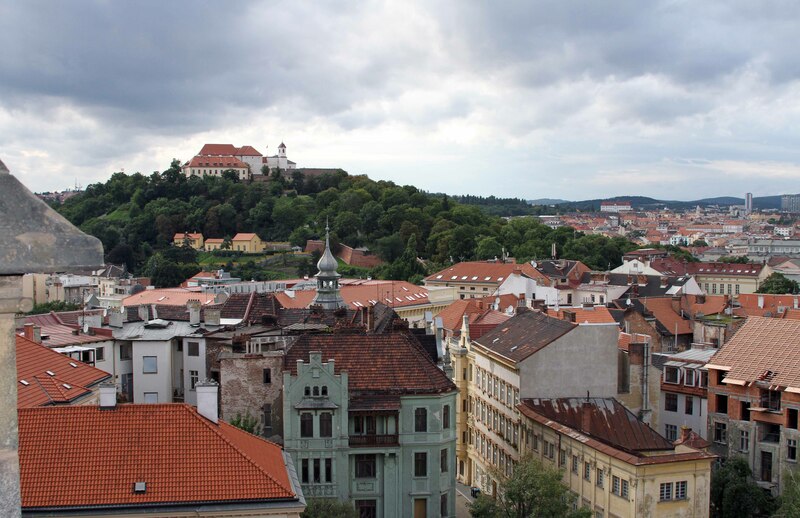 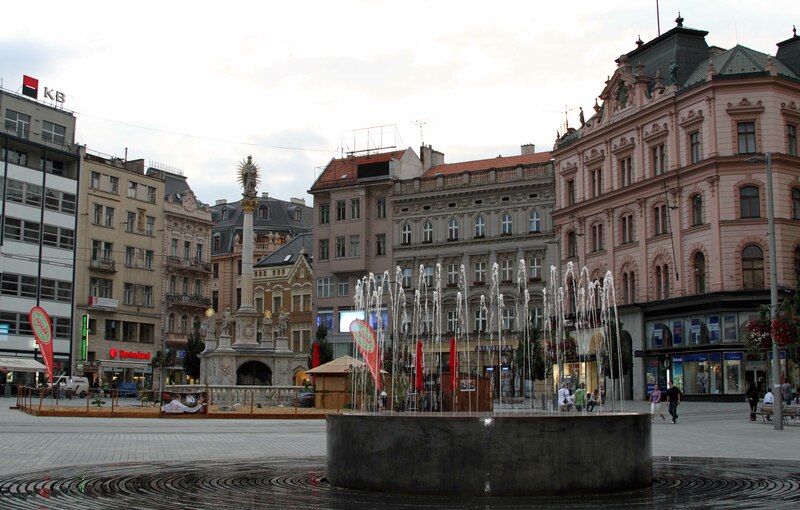 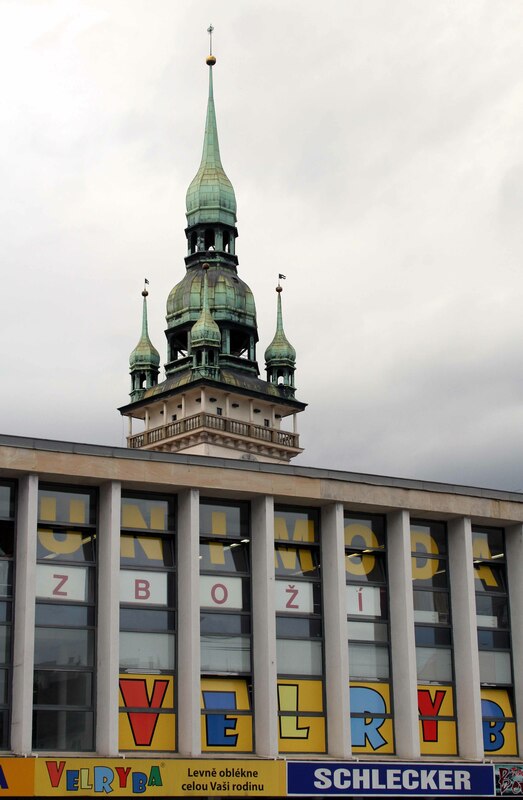 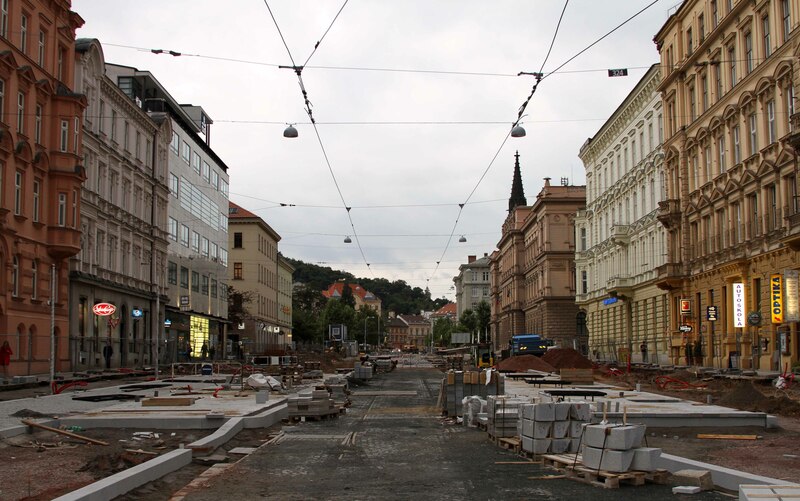 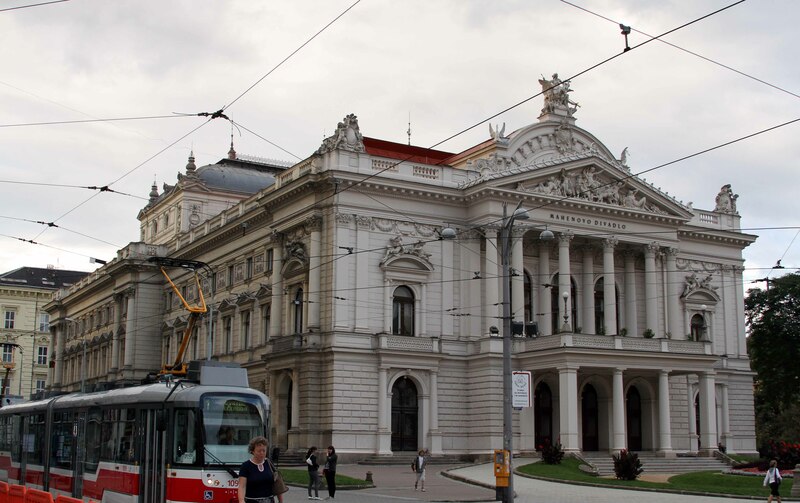 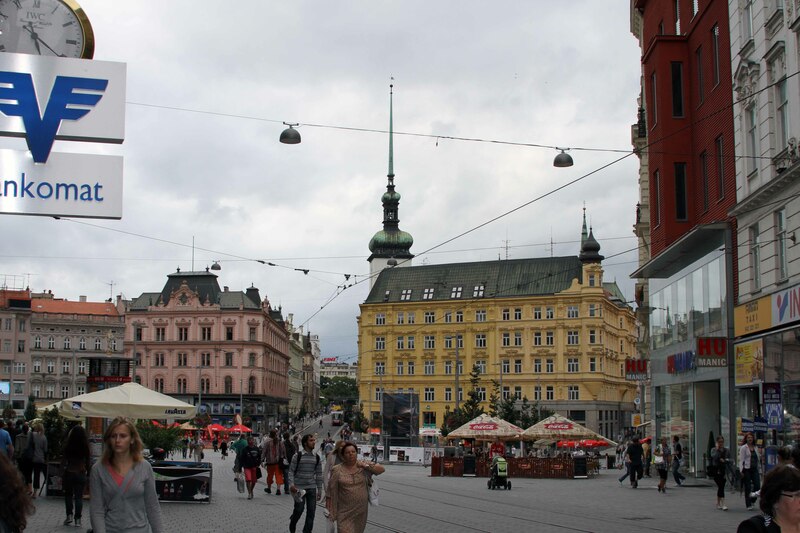 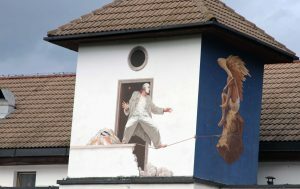 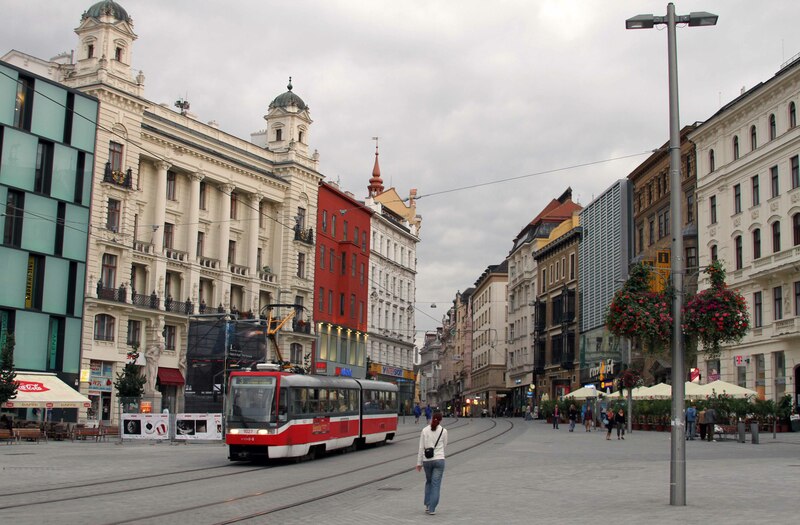 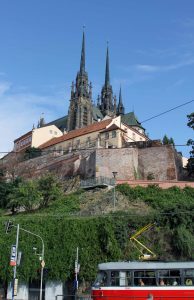 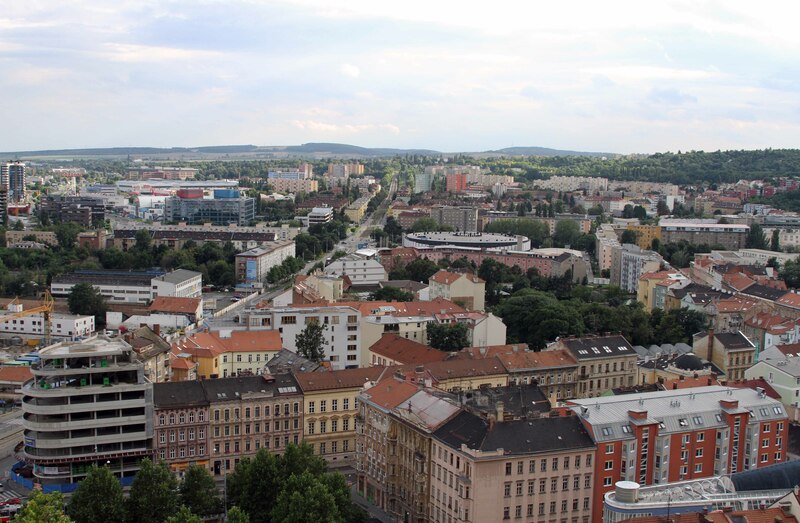 I visited Brno from 17-18 August in 2010 and what follows are some of the photographs I took while I was there. 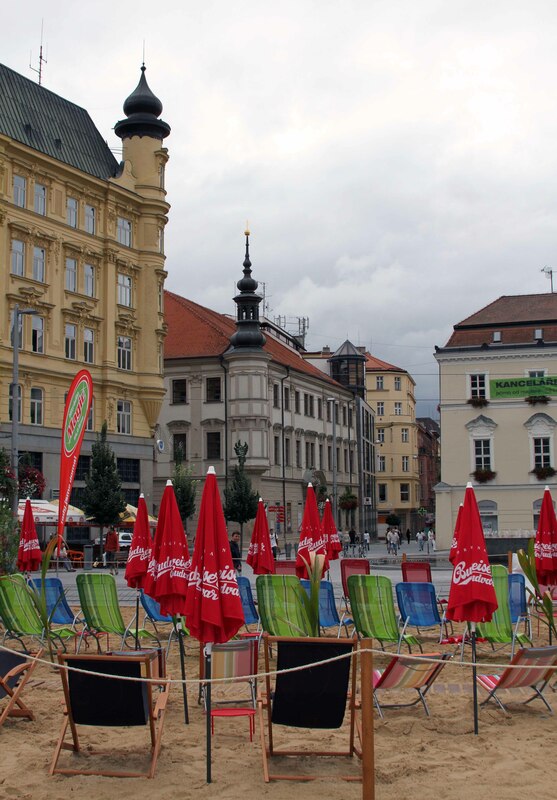 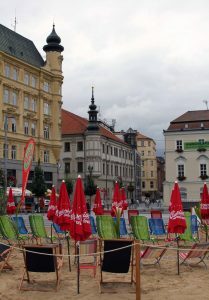 A beach set up in Freedom Square in Brno. 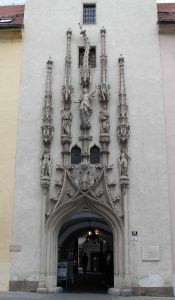 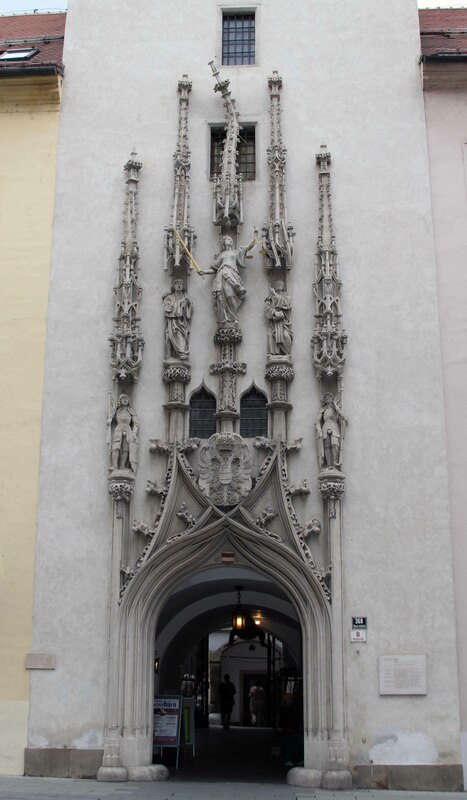 The entrance to the Old Town Hall of Brno. 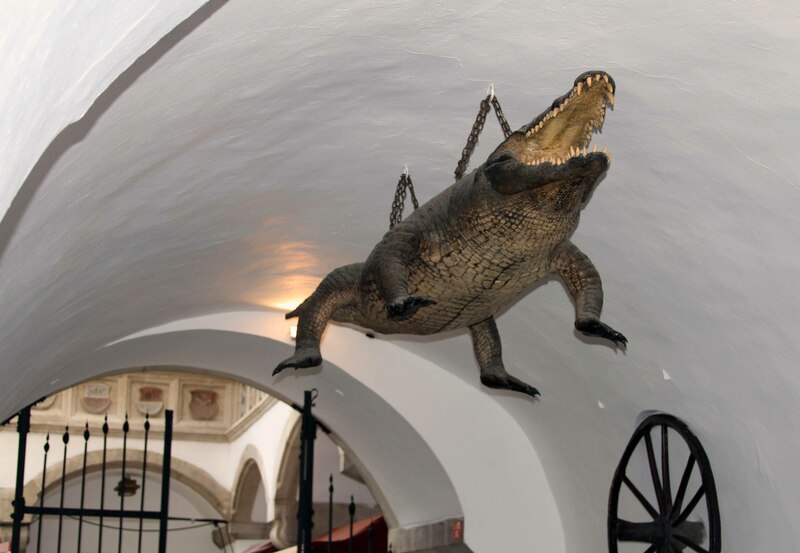 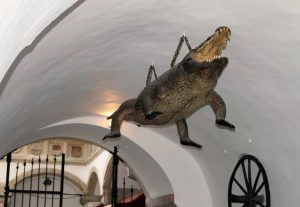 The Brno Dragon on display in the entrance to the Old Town Hall. 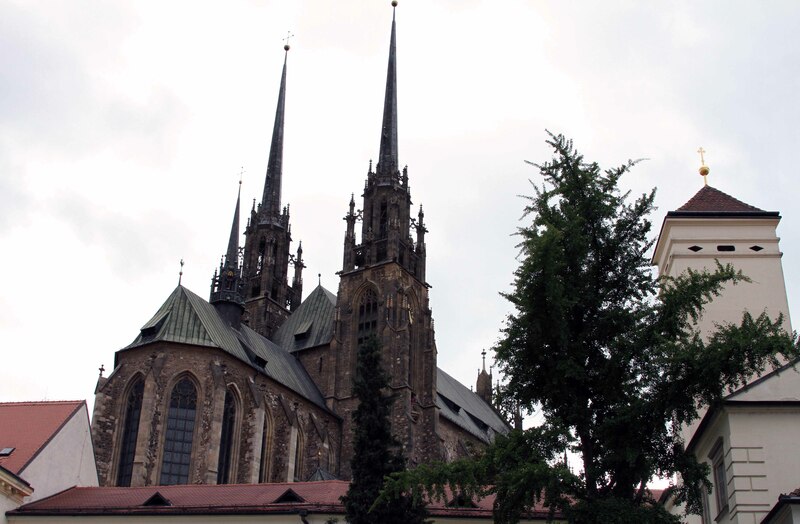 The Cathedral of Saints Peter and Paul on Petrov Hill. 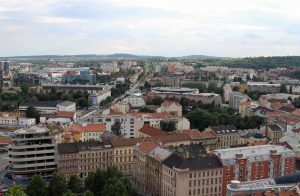 Brno seen from Petrov Hill. Špilberk Castle, seen from Petrov Hill. 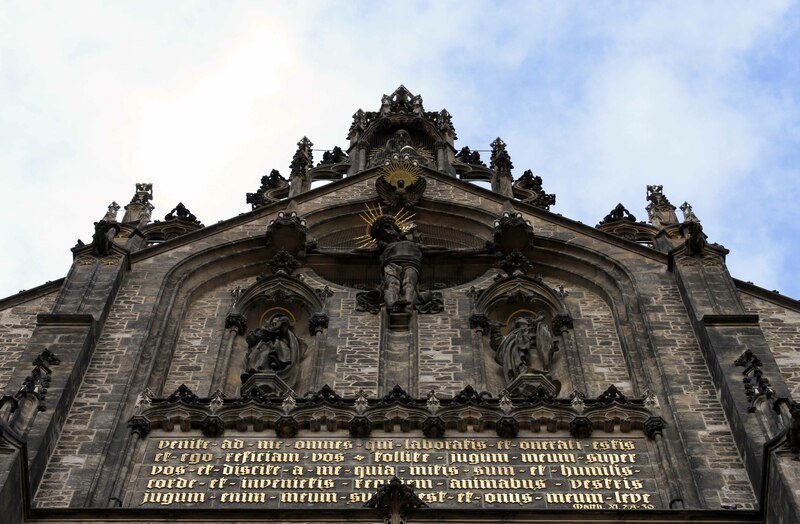 Looking up at the façade of the Cathedral of Saints Peter and Paul. A supermarket with the Old Town Hall tower behind it – seen from Cabbage Market Square. 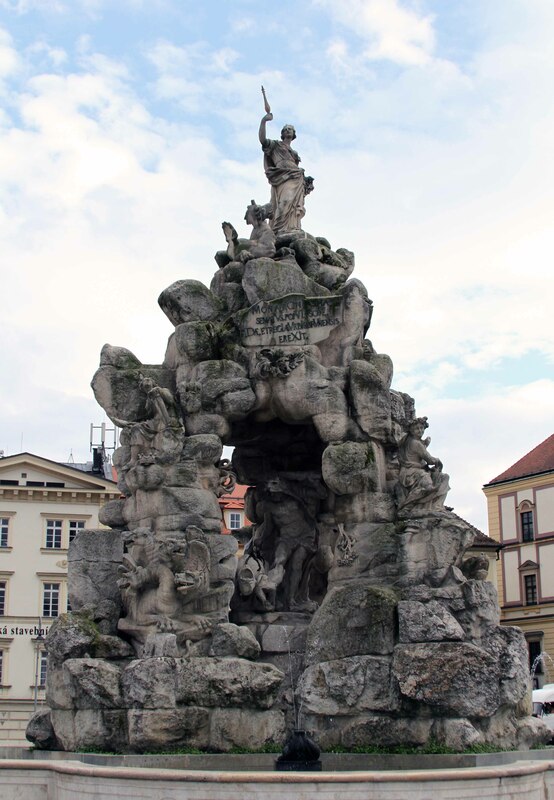 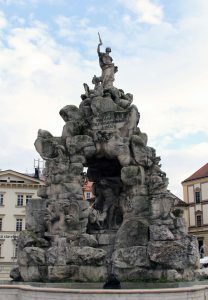 Parnas Fountain in Cabbage Market Square. 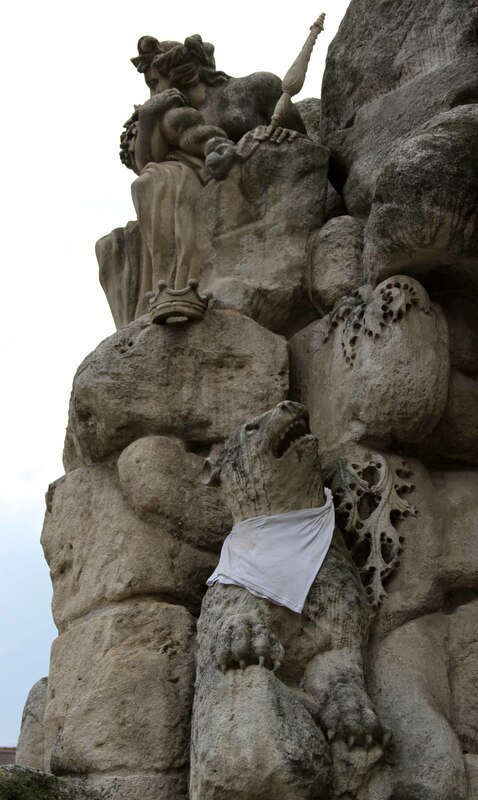 Closeup of a dog sculpture on Parnas Fountain. 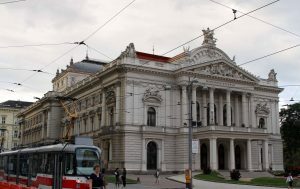 Mahen Theater, built in 1882 AD. 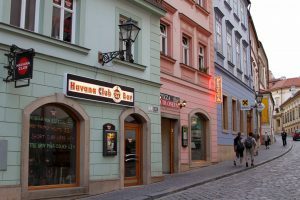 The Havanna Club Bar in Brno. 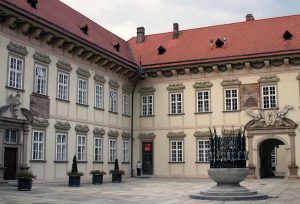 The courtyard in the New Town Hall in Brno. 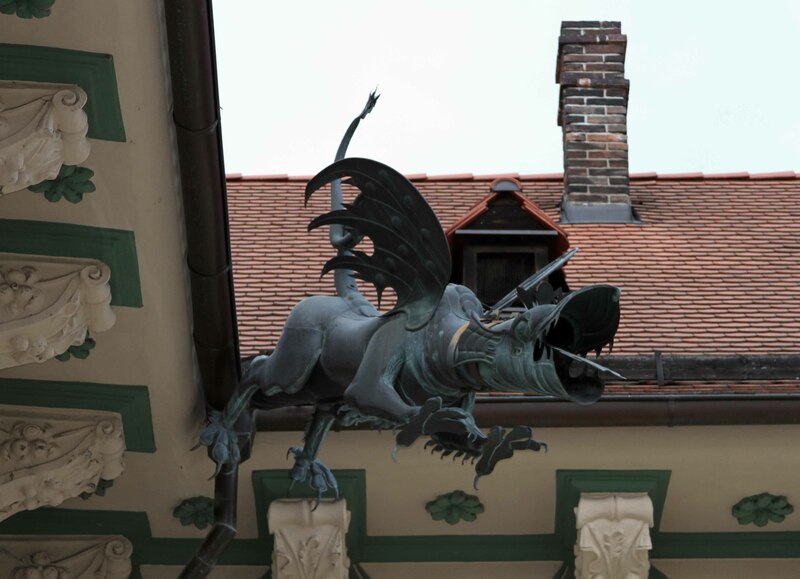 Dragon gutter spout in the courtyard in the New Town Hall. 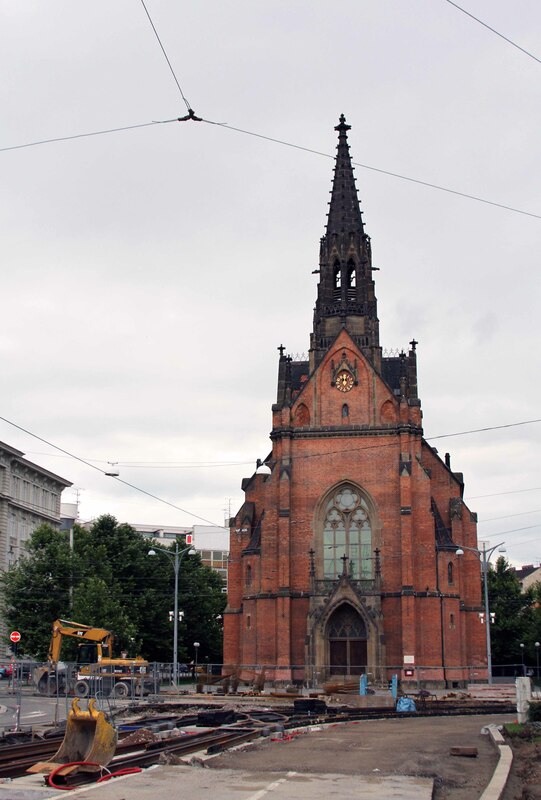 The Red Church in Brno. Masarykova street, at the south end of Freedom Square. 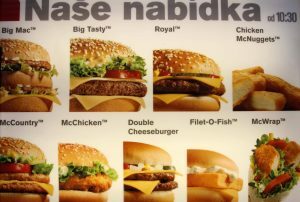 Menu for McDonald’s in the Czech Republic. 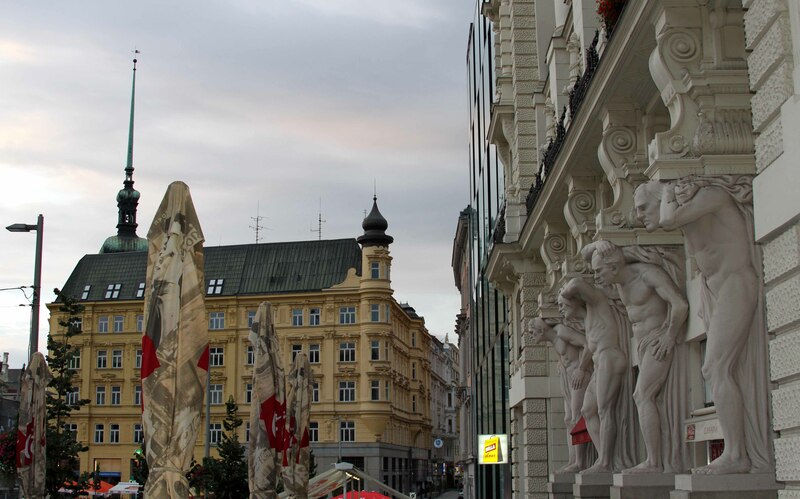 Sculptures on a building at Freedom Square. Fountain, beach, and column in Freedom Square. 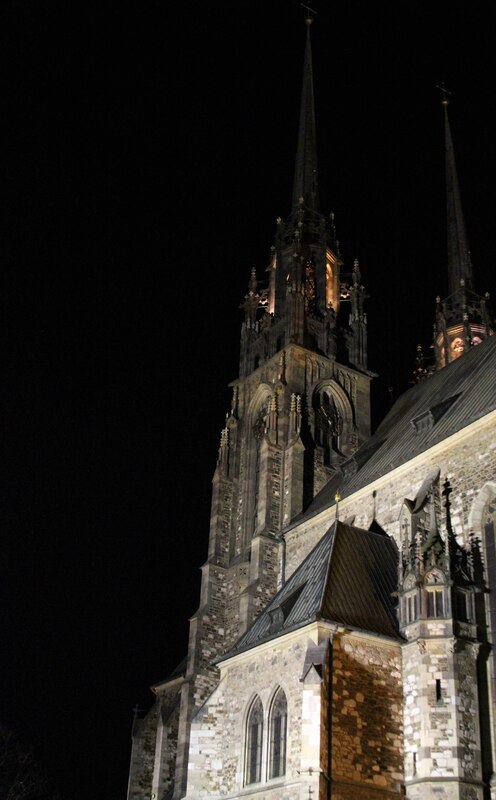 The towers of Cathedral of Saints Peter and Paul at night. 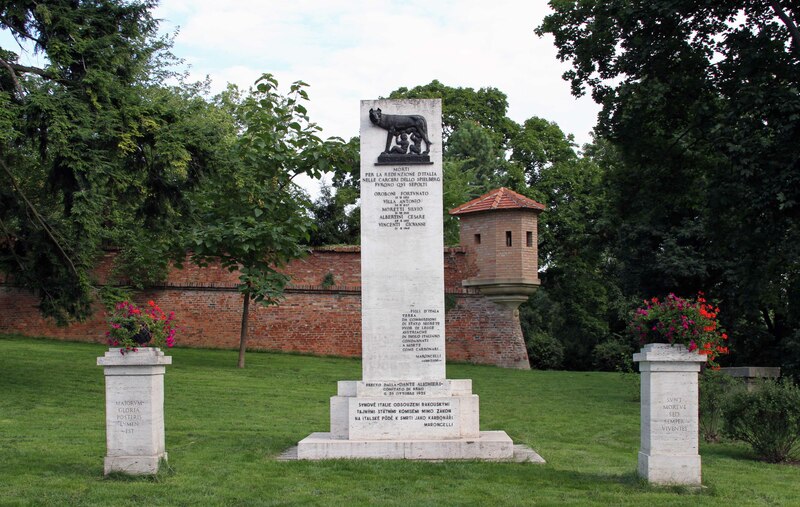 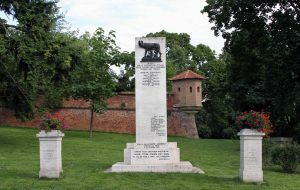 Memorial to Italian Carbonari at Špilberk Castle. 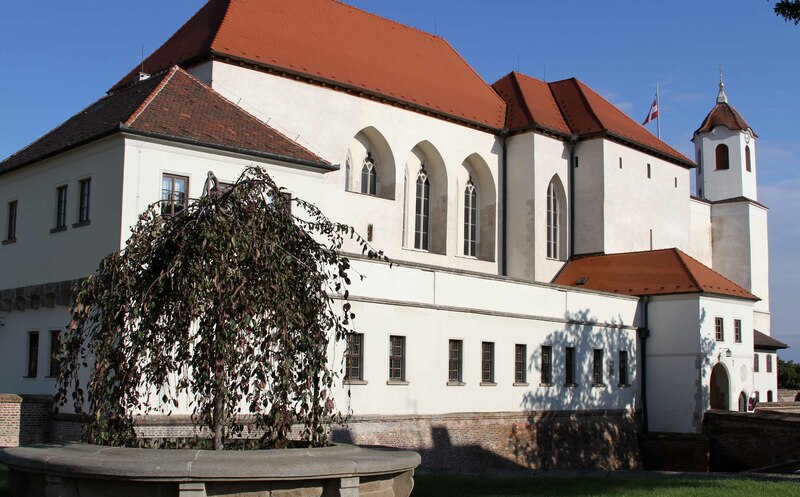 Špilberk Castle (founded in the 13th-century AD). Looking up at Petrov Hill and the Cathedral from Nádražní street. 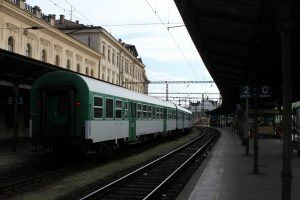 The railway station at Brno.